← When blond gets old and crunchy. You know that feeling of exhausted accomplishment you get when you’ve completed something difficult and strenuous? When you sit, panting, head in hands staring blankly at the wall? That’s how I feel when I finish reading a book by Jose’ Saramago or Hemingway or Faulkner. Kinda like I’ve wrestled something tenuous and tough and come away, if not the winner, at least a little bit better having done it. Not only is Jose’s’ work translated from the Portuguese which adds it’s own twist to the story’s tone but he writes in a free-flowing style that buries dialog in the narrative making the whole thing kinda hard to figure out, especially for tiny simple minds like mine. But it’s good. Way good. Blindness is the story of an entire country suddenly and inexplicably infected with a white blindness. Think the common cold gone suddenly and dangerously crazy. But more importantly it’s the story of the doctor’s wife (who can still see), the doctor, the girl with the dark glasses, the boy with the squint, the man with the eye patch, the first blind man and his wife and later, the dog of tears and how they all come together and bear the unbearable. 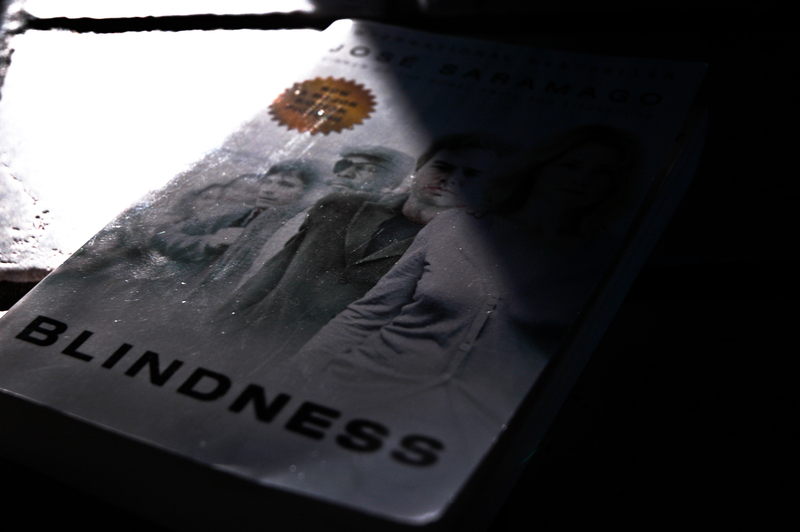 Blindness explores the worst in human nature while serving up the best in little bitty bits. Like anything tough and hard and worth doing, reading Blindness will leave you tattooed for good. This sounds like my kind of book…I will have to check it out. Now that I’ve read it, I’m thinking I’ll rent the movie on NetFlix and subject Miss Carol to it.